They have such wonderful and amazing staff. Extremely patient and the wait is not long. The doctors are great at what they do. My family goes here too. I’ve been doing my cleanings with Ana for several years now and she’s awesome! She’s super knowledgeable and thorough. The people here are very nice and always treat my teeth with care. This is definitely a good dental office. Recommend this office. I’ve been coming here since 1995 and have always had a great experience. The doctors (Dr Elvin) are fantastic and staff is friendly and helpful. 5 stars!! Best place ive ever been! Awesome service i every way. I always come back here. Great place! Very friendly staff that cares about your teeth and your comfort. Even without insurance, the prices are fair. Would definitely recommend! I love this office! The staff is friendly, professional and skilled. I highly recommend this office for all of your dental care needs! Ana is the best hygienist is all Miami! I love her. Excellent staff providing exceptional care. Everyone in the office is very good to me, they treat me like family and make sure I’m taken care of. Thanks! Thank you to Dr. Tydir. Wonderful Dentist. I recommend her highly. Thank you to Ana, she is an awesome hygienist. I give them five stars, no doubt friendly staff and well the front desk rocks!! Esther is the absolute best! Highly recommend her. Nicole at the front desk always helps me out with my appointments! I used to be very scared of going to the dentist but coming here pushed all those fears away. The staff is very welcoming and professional. Would highly recommend them to friends and family. Friendly environment, excellent communication. The doctors take their time to explain everything in a very friendly and professional way. Love coming to this place. Everyone is very professional from the moment you walk in. Dr. Tydir is very caring. Mabel the dental assistant is very sweet and attentive plus they have the most modern technology to care for your teeth. All of the staff was very helpful and the doctor and nurse were amazing! I am a regular patient and I love the care the Dentist and Hygienist provides for me. All the best care. And the entire staff are the greatest people on earth. As a new resident of Florida and Kendall, it was important to find a professional and caring dental practice, and this I have found at Dental Associates. The doctors’ care has been wonderful, the office staff most helpful, and my two dental cleanings with Anna this year were done in a care-filled manner, and even delightful. I am appreciative of this practice. Everyone is friendly and prrofessional. Service filled with holiday joy! Knowledgeable staff that goes above and beyond. Always very fast and professional! I even saw one of the front desk ladies go out of her way to interact with a little girl who came with her dad to his appointment and offered her a cupcake, veryyyyyy awesome! Ana Pereira is the greatest Dental Hygienist on planet earth. Very kind, gentle and personable. She makes the dental visit pleasant. The other staff is equally nice, friendly and welcoming. I love this dental office. The staff is very accommodating and have great customer service. The dentist and hygienist are one of a kind. They are great at what they do. I normally get very anxious when I have to see the dentist but with them I do not feel pain or pressured to do a procedure I am not comfortable with. I am so thankful for finding this clinic! You will not regret it. Great Dental office!! With unbelievable friendly and profesional Doctors and staff. 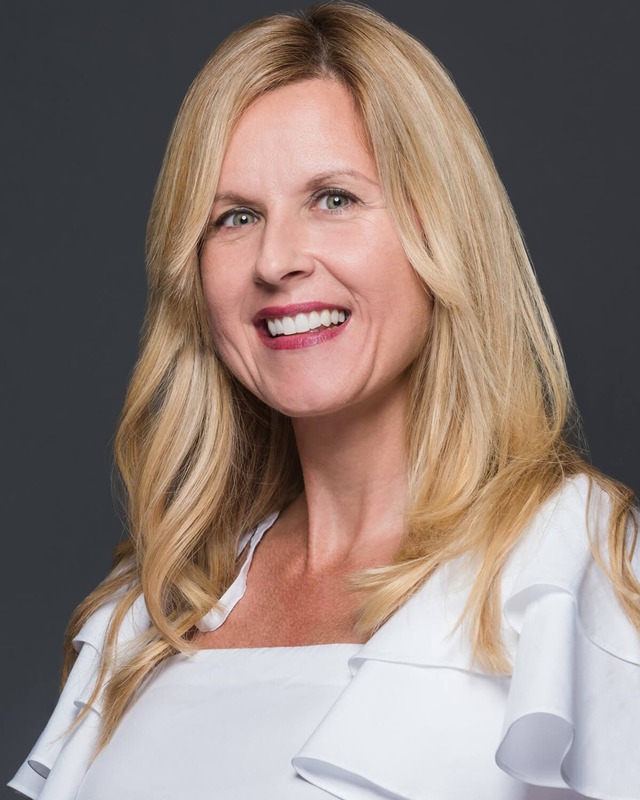 Dr. Tyder makes you feel secure and in good hands, her honesty and high standards are present since the very first visit. Ana , my higienist is the best and the front desk staff are always ready to help no matter what. Awesome experience very nice staff. They are sweet, efficient, and affordable. Definitely recommend them. From the moment you arrive at this dental office the staff makes you feel welcome. They are very professional as well as friendly and attentive to your individual concerns and questions. Dr. Silvestry is great and very caring. I highly recommend Dental Associates of Kendall! My hygienist and dentist have been by far the best I have ever had as a dental patient . They care about my health and they want me to be comfortable with my plan of care. I never felt pressured. The office staff is also very accommodating and nice. Its always so nice go there. The assitants the recepcionists are so nice, and dr tydir its so sweet always taking care of the pacients concerns. Im really happy with that office and services. Very good atmosphere, very professional, very good music,excellent people ,would recommend it to everyone. Dr. Tydir and Esther, along with the office staff, have always been excellent. I’ve been going here for years for yearly checkups, cleanings, and invisaligns. Everyone at this office is wonderful. I’ve gotten amazing treatment. Esther is the best hygienist ever. Great experience and friendly staff. Highly recommend this dental office. I’ve been coming to this location for the past couple of months, and I must say that the entire staff is just phenomenal. Loved coming to this dental office. Last Friday was my last visit, since I’m moving out of state, and I only hope to find a dental office nearly half as great as this one. Thank you everyone for making my dental visits so pleasant. Always excellent and friendly care! My hygenist, Ana, is the best. She is thorough, nice, and compassionate and has been the best hygenist I’ve ever had. I trust her completely. Just had an amazing visit here at Dental Associates of Kendall. I have been a patient here for many years and have never been disappointed with the care I have received, from the front office, to Dr. Silvestry and Ana my hygienist! I will always view this office as home! Staff very professional and genuinely concerned with patient health. Great office overall! 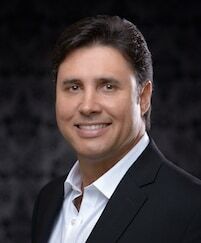 Always have an amazing experience seeing Dr. Elvin Silvestry, he is always patient and kind. My hygienist Ana has the most gentle hands! Would recommend this office to everyone! Great service and attention to patients. Highly recommend Office. Staff is kind and helpful. Dr Tydir is amazing and my hygienist Esther is wonderful. Best dental office! I like the people in the office. Dr. Tydir is a caring, genuinely nice person. The office is full of smiles around any time during the day. I didn’t wait long to be assisted and the work they did on my mouth was amazing. The hygienist was very kind and informed me of each thing that was being done. This was an amazing experience. Esther pays attention to detail a nd is a kind person. Everyone is very friendly and polite, fast service, Dr. Tydir is amazing! Love the way I was treated. The staff at Dental Associates of Kendall is absolutely wonderful. I’ve been coming here for years and they are always professional, courteous, and friendly. It’s a joy to come here for my check ups and cleanings, the office is clean and they do a thorough job. I absolutely love my hygienist. The way she knows me, my needs and my mouth. She cares about my overall oral health. In addition the billing department was also very helpful in regards to a fee that the insurance did not cover. Love this office. Doctor Elvin is very proffeccional and Ana is an excellent and very professional hygenist. Love her cleannings. I love my hygienist! Esther is the best! Love, love, love this dentist office! Everyone is so nice and accommodating. Especially love Dr. Tydir and my hygienist Ana. They are excellent and I highly recommend seeing them. I no longer hate the dentist. Who would have thought? Ana María is the best!!!! I just had a cleaning with Ana Pereira at this office. She has changed my outlook on going to the dentist. Amazing experience and highly recommend!! This is by far a great team of professionals that go above and beyond for the patient. I love coming here. The staff is great and patient. Dr. Silvestre is great! Great atmosphere, clean and very professional!! All nice friendly people, considerate. Pain free dentist. Competitive pricing. Good parking and location. The staff was very nice and patient with my 88 year old mother. As a new resident I was welcomed and provided wonderful care and followup. Friendly, professional. Accessible facilities. My dentist, hygienist and overall office environment. Really happy the place so nice and clean, tge people there are really nice. If u need to go t9 the dentist this is the one you are gonna feel really confortable there. Dr Tyder and her staff are great!!! Ana my technician is wonderful. She is very friendly and helps put me at ease. I hate the whole dentist experience (I would categorize as a phobia) but she does all she can to get me through it. The friendly and caring staff are very professional. Very professional and friendly people. Work is quick and well done. Ana is an amazing Dental Hygienist. Kendra is always helpful and efficient. Very Happy with my treatment at Dental Associates of Kendall. Warm family feeling when you walk in. The pretty girl in the small office, I believe her name is Janet. She makes it possible for you to do your treatment. I am overall very happy with this office and I highly recommend it to everyone!! On time appointments. Friendly staff. Great staff!! Very caring!! Ana (dental hygienist) has a soft touch (manos de seda). Great customer service and very knowledgeable staff. Friendly experience, everyone considerate, excellent cleaning with Anna Maria, high hopes for treatment starting soon. Dr. Silvestry inspires confidence. Friendly and professional. They do good work. Professionalism and friendliness of all the staff. Amazing dental office. I highly recommend. Staff and dentists are great! I have been a patient here since I was a kid! Ana is the best hygienist, and I love the office staff too :-) I highly recommend Dr.Silvestry and his team. Fantastic staff! I am terrified of the dentist but the staff here make me feel very comfortable. The practice is easy to get to and there is plenty of parking, The office and dental staff are very pleasant, attentive and professional. Couresty of the staff everyone was so nice and helpful! Great experience! Incredibly helpful staff and dentists! Dr Tydir is exceptional. The girls make you feel right at home. Great location. No insurance? No worries they work with you. Amazing customer service. Excellent customer service…. staff super attentive.. Great Service! I have been a patient since 2009 and have always had such a wonderful experience. They have an excellent team of experienced dental hygienists and dentists. Dr. Tydir and our hygienist Ana are amazing! They are always so kind an attentative and truly make going to the dentist an enjoyable experience. I highly recommend Dental Associates of Kendall! Excellent!!!! The doctor Michelle , the assistant Mabel and all ladies at the office make me feel at home. Every single person in the office is very nice! The dental work is excellent & the attention to patients is Wonderful!! Every single person in the office is very nice! The dental work is excellent the attention to patients is Wonderful!! Ana was wonderful! Very pleasant, and have good advice that helped me. The front desk is also very helpful and accommodating. Great service, friendly and comfortable staff. The staff was very courteous, friendly and explained my treatment options in detail. They listened to my concerns and addressed them, alleviating the anxiety that goes along with a visit to the dentist (treatment, payments options, etc..) Dr. Ailyn Silvestry was straight forward and explained what needed to be done to get me where I want to be with my teeth. Wow! I have never experienced such a great comfortable time at a dentist. I mean no body likes going to the doctors or the dentist right? But they sure make your time there as pleasant as possible. The staff goes above and beyond with there friendly, welcoming vibe. This dentist office is phenomenal. The staff is incredibly helpful and friendly. 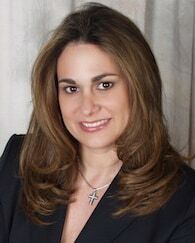 Dr.Esther Torres is exceptional with a great amount of care for her patients. I definitely recommend this dentist to anyone! The staff are top notch. Always very professional friendly courteous and caring. Since 1990, our local dentist office has been known for providing the highest-quality dental services, including general, cosmetic, and anxiety-easing sedation dentistry. We offer a comprehensive range of preventative and restorative treatments for adults, and adolescents from the age of 13. For added convenience, our office is close to a public transportation route at 11400 N. Kendall Dr, Suite 207, Miami, FL 33176. You’ll find us right across from Pollo Tropical. We’re open for appointments on Mondays, Tuesdays, Thursdays, and Fridays from 8:00 a.m. to 5:00 p.m., on Wednesdays from 9:00 a.m. to 7:00 p.m., and on Saturdays from 9:00 a.m. to 1:00 p.m. We offer early morning hours and Saturday appointments to help patients fit dental care into their busy schedules. We also accept walk-in patients and provide same-day treatment for painful dental emergencies. Our bilingual office staff is fluent in both English and Spanish. Our friendly Kendall dentists are experienced and have a wonderful chairside manner. Everyone on our office staff is knowledgeable, welcoming, and provides the utmost customer service. We truly care about every patient’s comfort and satisfaction, so we do everything possible to provide outstanding family dental care that exceeds all expectations. The quality of our care is enhanced through the use of the latest technology, including digital radiography, intraoral cameras, and TVs in every treatment room. To share our commitment to helping others, we proudly support the Make-A-Wish Foundation. We would love to welcome you to our family dental center. Call us today at (305) 459-3204 or book an appointment online. Have you been asking friends and family, “Where can I find a good dentist near me?” You’ll be glad to know that our exceptional Kendall dentists offer numerous general and cosmetic dental services. We provide dental examinations, teeth cleanings, oral cancer screenings, digital X-rays, tooth-colored fillings, tooth extractions, dental restorations, crowns, composite bonding, bridges, and several types of dentures. Our cosmetic treatments include dental implants, porcelain veneers, Lumineers®, Invisalign® invisible braces, and both in-office and at-home teeth whitening treatments. We also perform sedation dentistry to help patients who have dental anxiety or a fear of the dentist remain calm and comfortable during their treatments. Over the years, we’ve seen how the cost of dental care can be challenging for many patients. To help relieve this burden, Dental Associates of Kendall offers many affordable options to make payments easier to handle. We accept most dental insurance plans, have flexible financing programs, and welcome the DentRite® discount dental plan. In addition, we regularly run cost-saving specials on some of the most popular dental services. For more details, feel free to ask our friendly staff. Call us at (305) 459-3204 today to schedule your appointment or book an appointment online. Tired of traditional dentures that slip and slide? Our dentist in Kendall offers implant-supported dentures that allow you to keep your teeth permanently in place. © 2019 Dental Associates of Kendall.